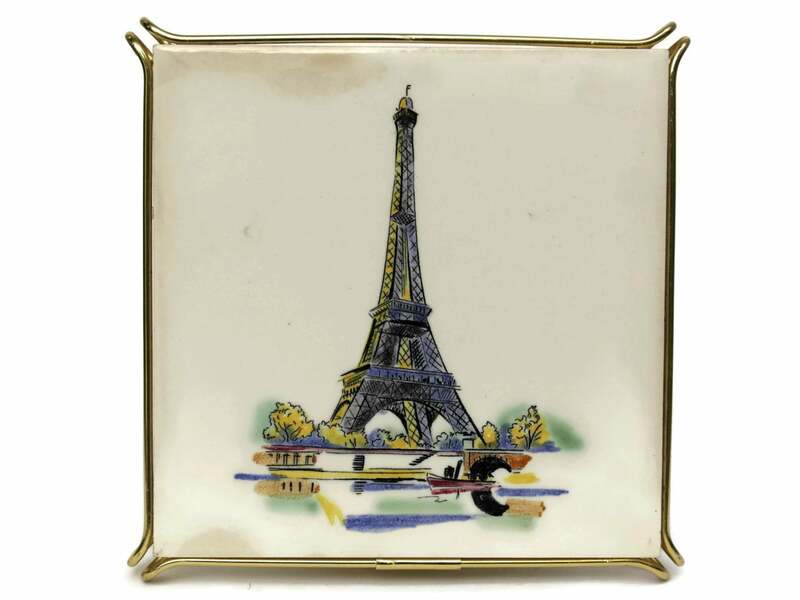 Vintage Paris Souvenir Ceramic Tile Trivet with Eiffel Tower. French Kitchen Pot Rest. 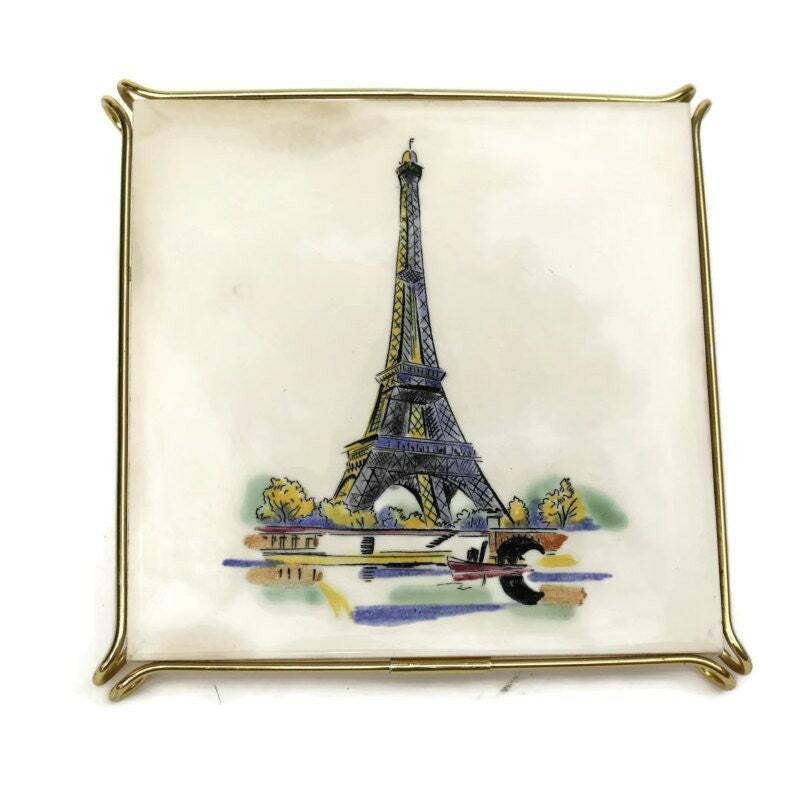 A French vintage pot rest decorated with a view of the Eiffel tower in Paris. 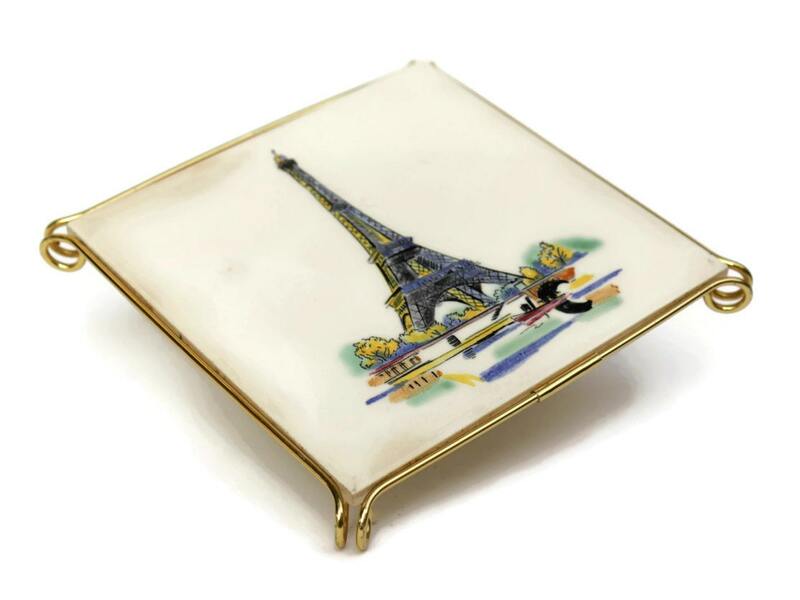 It features a glazed ceramic tile manufactured by the renowned French company Gien. 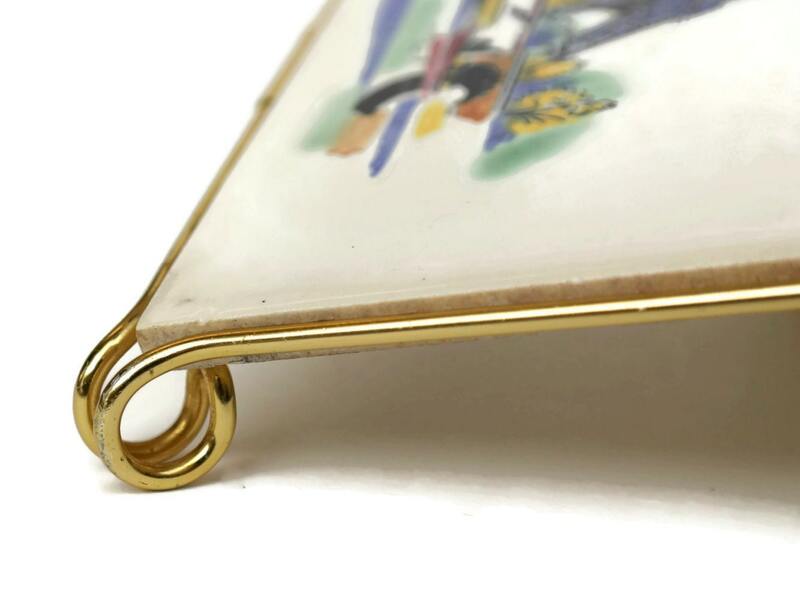 The tile has been set in a stylish brass frame with small legs at each corner. 8“ x 8 “ (20cm x 20cm). 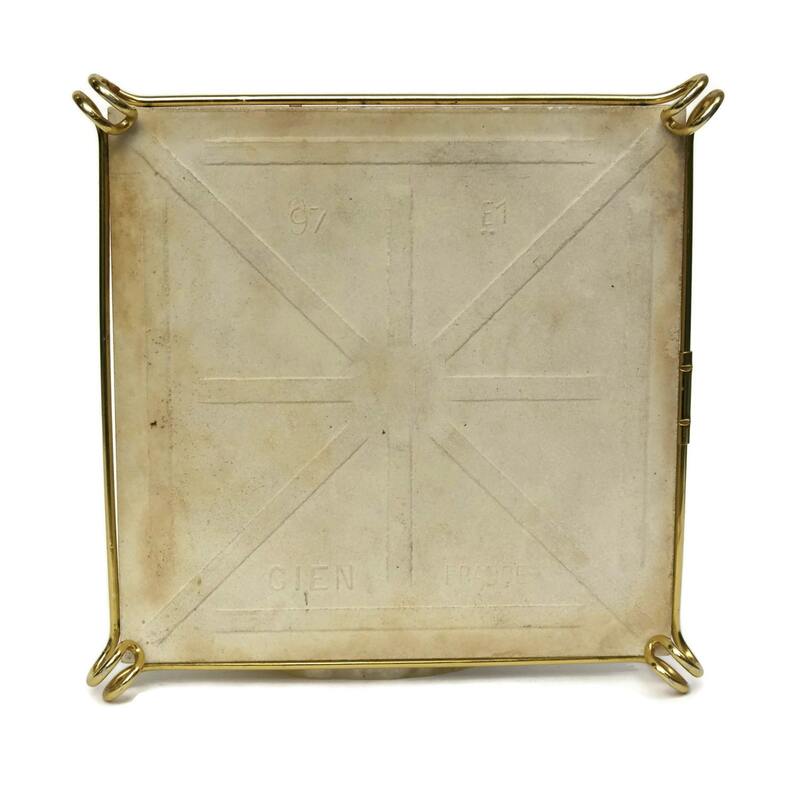 The trivet is in good condition with light wear and surface marks. Beautiful trivet. Tile in excellent condition. Rapid shipping. Great seller.